Made in the united states through people in Tennessee and kentucky. Made with heat sherpa. Made to head from paintings to woods with out hesitation. 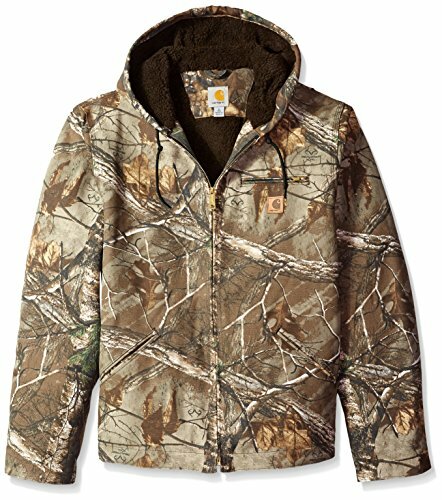 12-ounce, 100 p.c cotton duck with Actual tree camo development, sherpa lining in frame, quilted-nylon lining in sleeves, Connected sherpa-coated hood, left-chest pocket with zipper, inside of wallet, decrease-entrance wallet, break up-again building and bi-swing again for ease of motion.